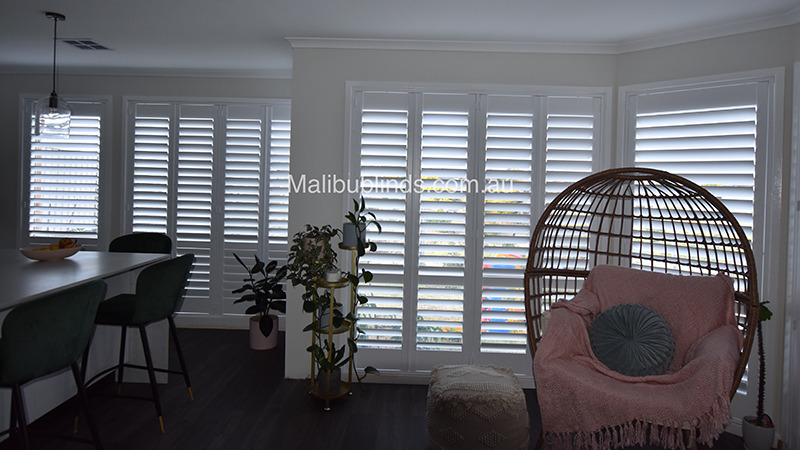 Melbourne has fallen in love with plantation shutters. 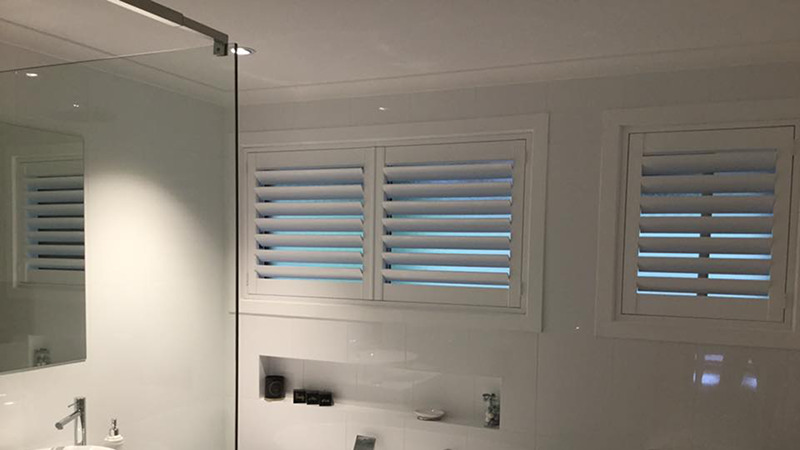 With ease of use and care ideal for Australian conditions, the crisp clean lines of timber shutters are a great choice for any room. 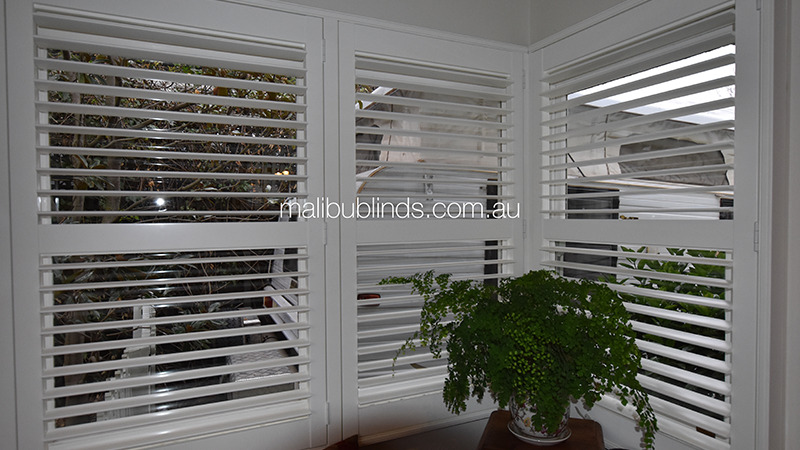 Malibu Timber Shutters are the hottest product in window furnishings today. 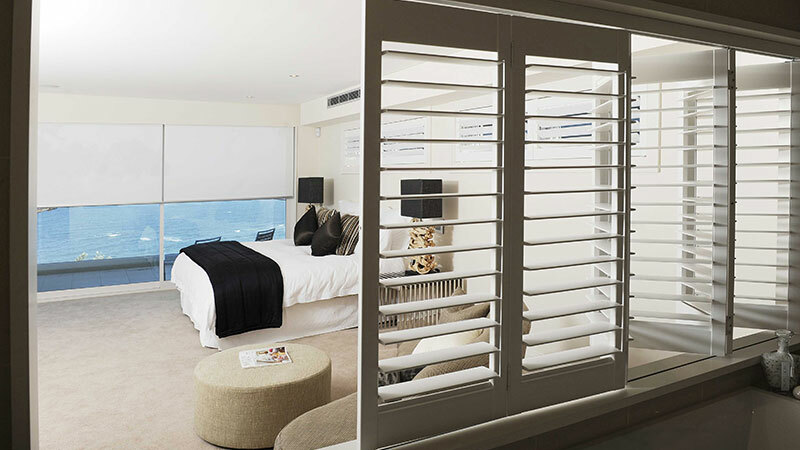 If your decorator style hints at beach luxe or exotic tropical, plantation shutters are a must to complete the look. But your styling options don't end there. 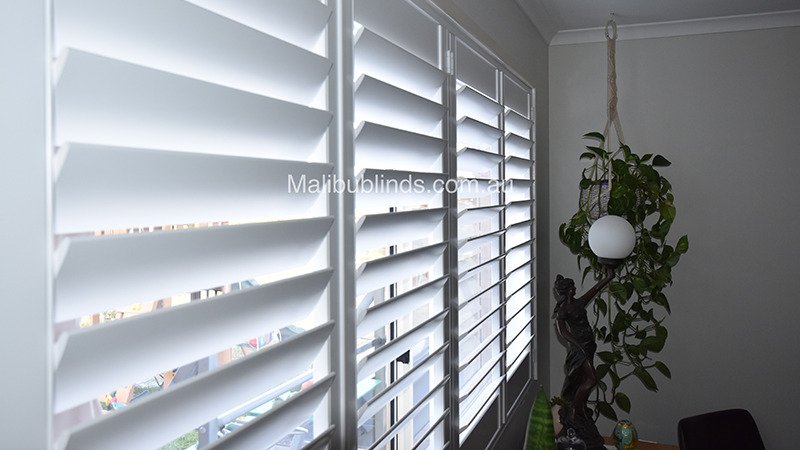 The modern geometrics and strong colours Melbourne decorators prefer pair effortlessly with these blinds. 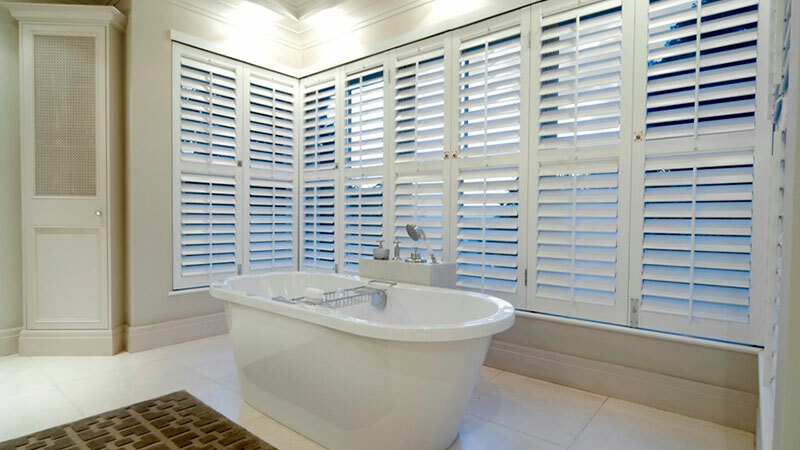 In fact, timber shutters will blend your windows with Hamptons, Mayfair or any other design story. 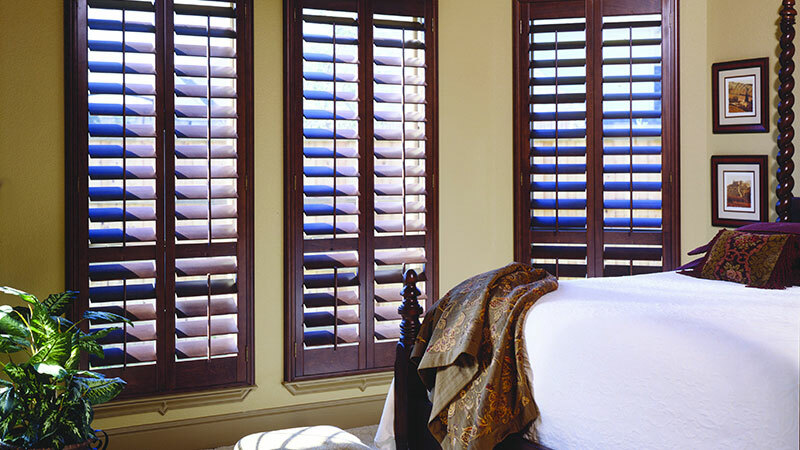 For a sassy window treatment to suit your lifestyle, it's hard to look past plantation shutters. 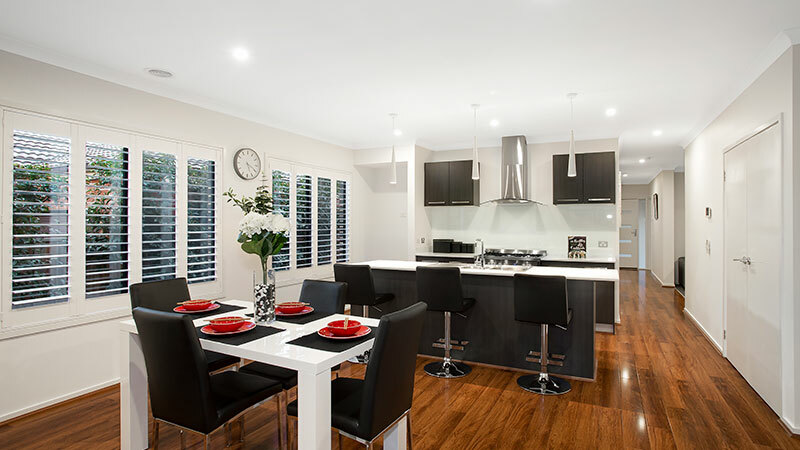 Select from options like light adjustment with or without a central control bar. Plus your choice of gliding, folding and stacking functions. 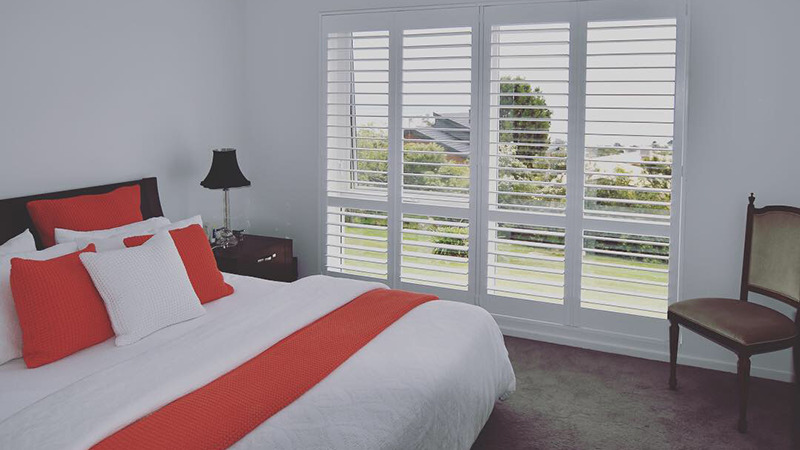 In a huge range of colours and timber finishes, there's a shutter configuration for every room. 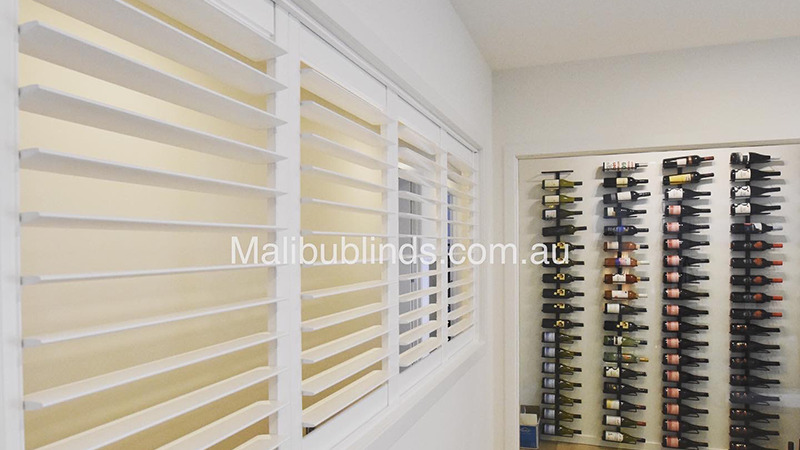 Shutter blinds are a natural choice for bathrooms and kitchens. 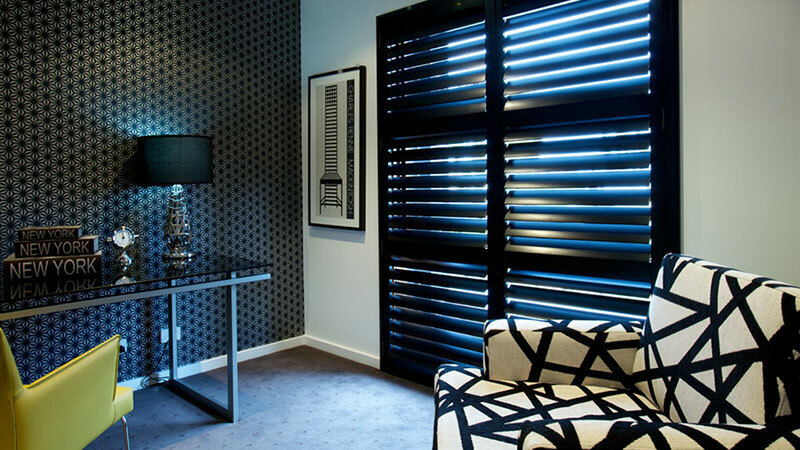 They also make a stylish addition to living areas and bedrooms. 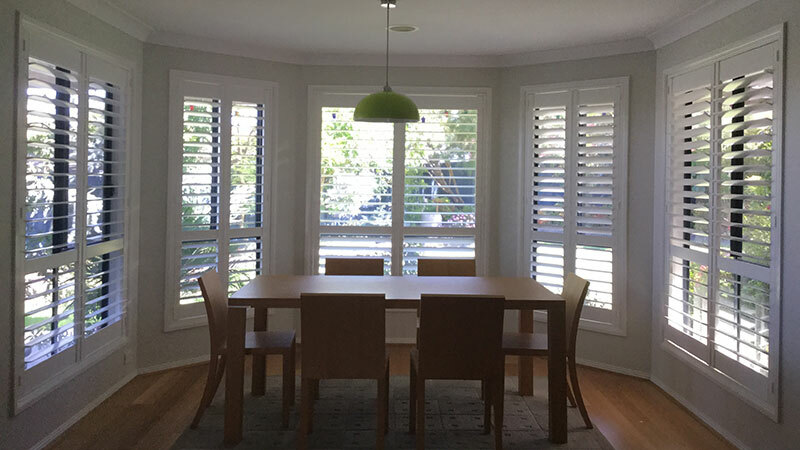 Highly effective for merging indoor and outdoor spaces, shutters help Melbourne decorators make the most of any space. 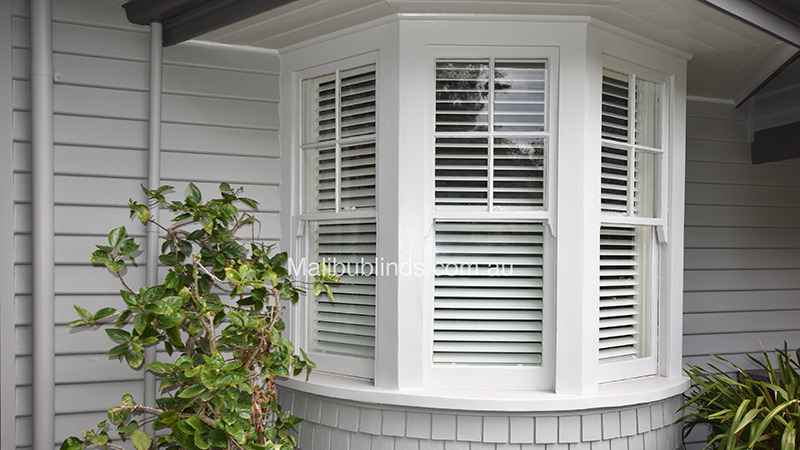 Warmth and durability combined with sophistication make them an ideal choice for any home. 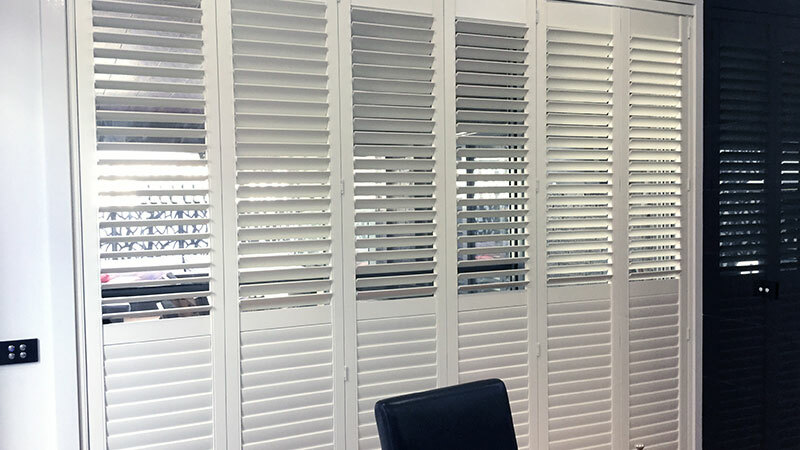 They are available in a range of styles to suit any application including sliding, swinging or bi-folding designs. 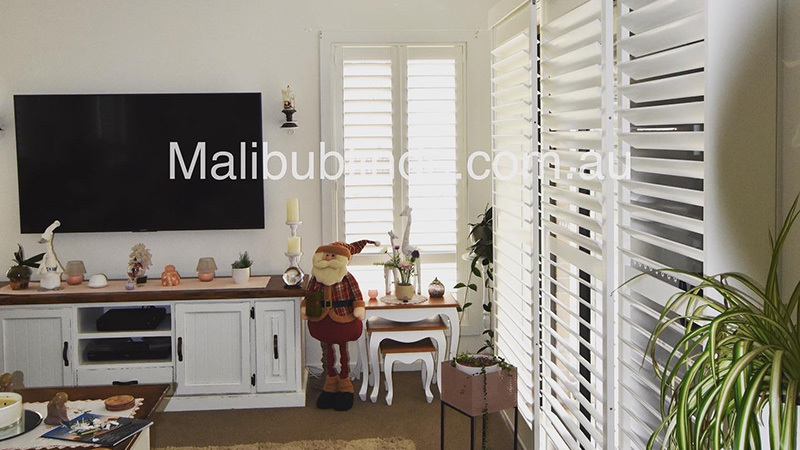 Malibu Timber Shutters offer excellent craftsmanship, excellent light control and come in a choice of natural, oiled, lacquered or painted finishes. 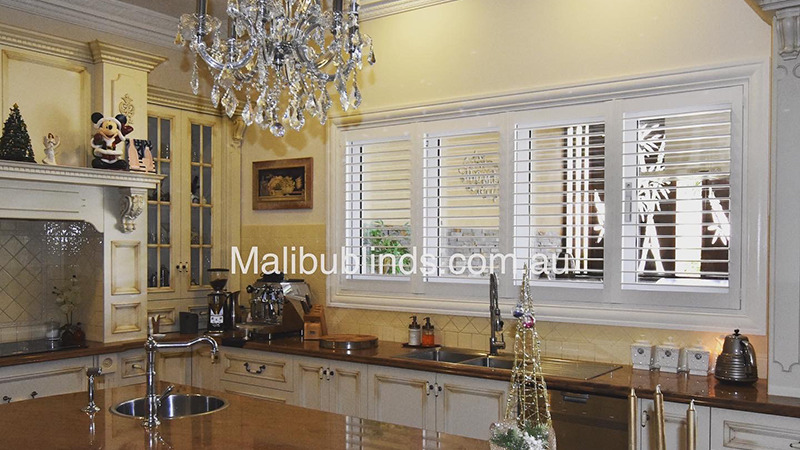 Custom made Hand crafted to suit your décor and specifications. 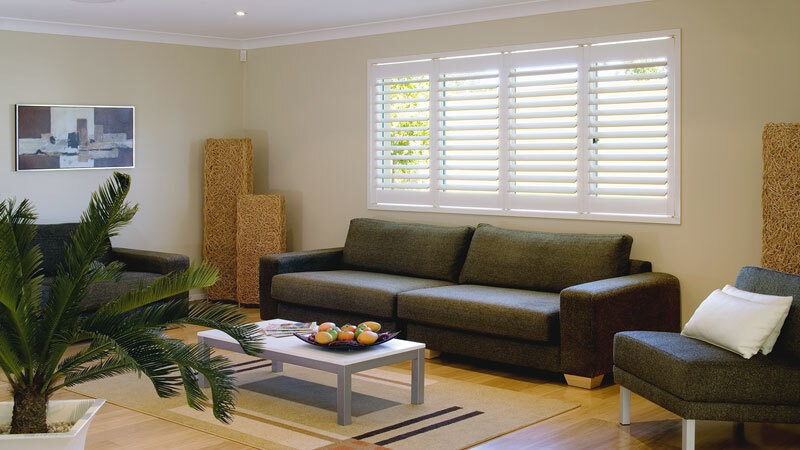 A wide range of choices from White Teak, ABS or Customcraft. 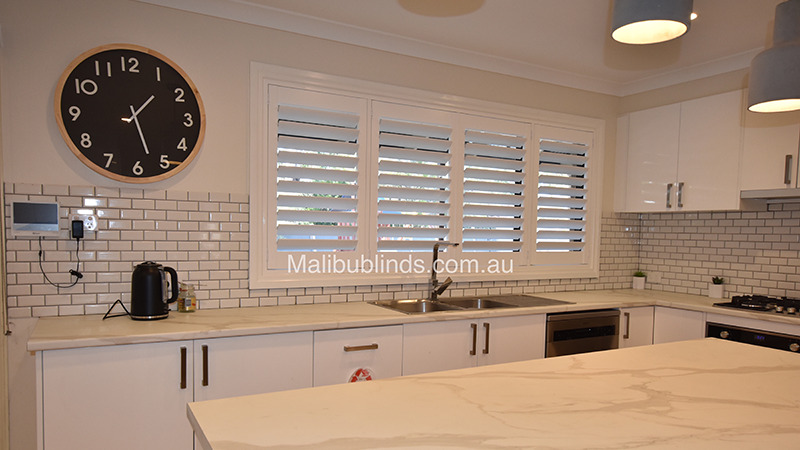 Range of louvre and application options Special shapes, Double Hinged Panels, Fixed, Bi-fold or Sliding etc. 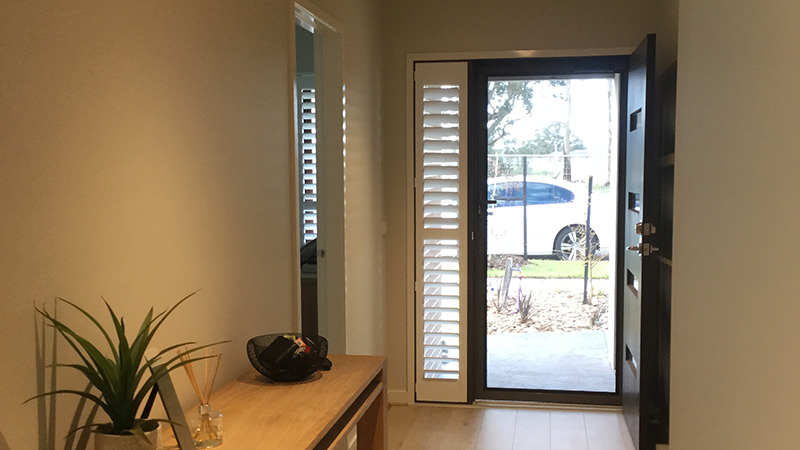 Control options Whether you prefer the more traditional centre tilter or offset tilter, there are a range of styles that will meet your requirements including the new release easytilter option with no visible tiltrod whatsoever. Motorisation also available. 5 year Warranty We've got you covered with our 5 year warranty!